Making movies ain’t cheap. From actors to film crews to big explosions, everything appears on your budget. 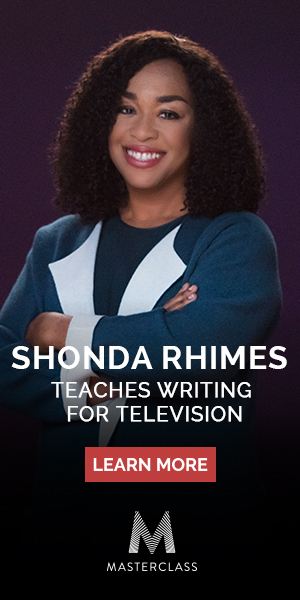 Sure, you can get an idea of it, after breaking down your script. But poor scheduling can bleed your production if you’re not optimizing locations, cast and crew time, and murphy’s law. 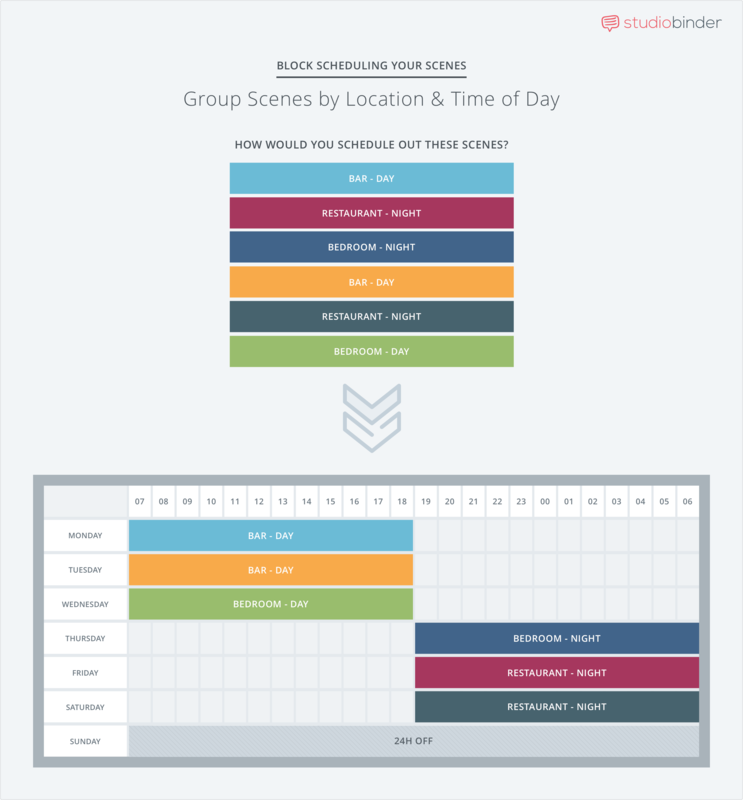 While you have to schedule efficiently as possible, these five shooting schedule hacks can keep your next project right on or under budget. Shooting out-of-sequence is a fundamental strategy of film scheduling. Basically, you arrange your scenes so that the most expensive elements of your production (the locations, stars, or special equipment) work as few days as possible. Caption: In StudioBinder, you can move your strips by location to schedule blocks of shooting. Sometimes, in episodic television, scenes from multiple episodes in a season are shot sequentially in a location. This is called block shooting. There isn’t really a name for it in non-episodic production, but it’s the same idea. Bucket your scenes by location, and try to a wrap a location before moving on to the next one. Sometimes, it’ll rain. Occasionally, your actors will get sick. Rarely, you’ll go under schedule. 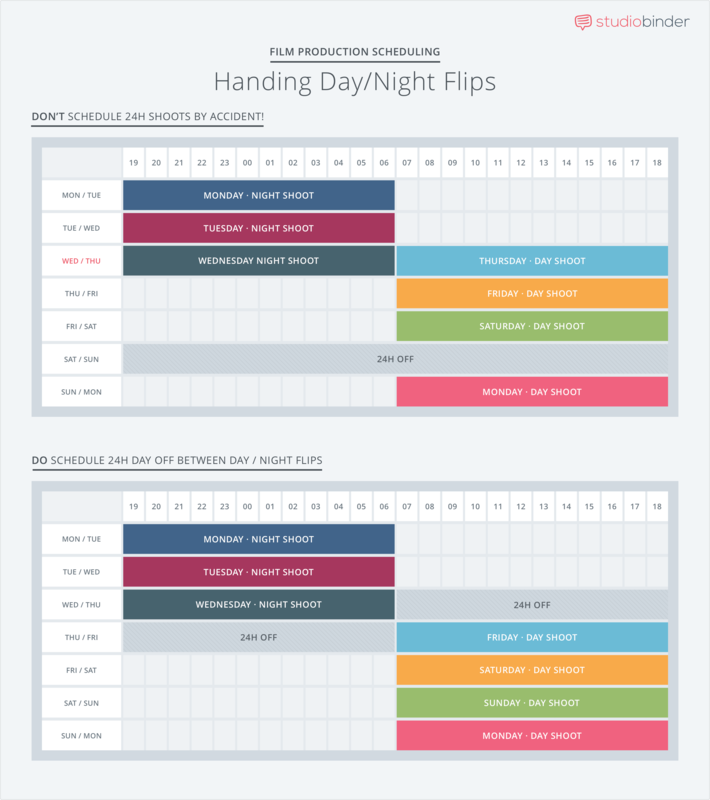 Creating alternate schedules allows you to take advantage of arbitrage on set. If your production’s shooting pages more quickly than anticipated, then implement a more vigorous shooting schedule. 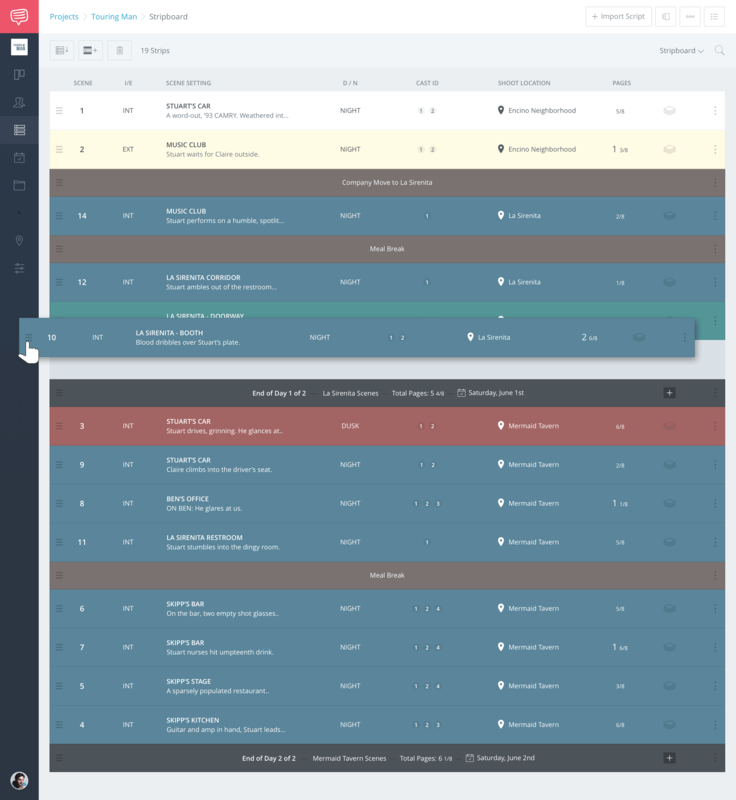 In StudioBinder, creating a new schedule is just a matter of reorganizing scene strips. If an accident occurs after a big stunt, have a new shooting schedule ready to eliminate dead time. Got a scene where characters are driving in a car? Schedule the driving scenes during a company move between locations! Need insert shots of food being prepared? See if you can get those while craft services sets up up! This strategy becomes more critical on productions about productions. You have a scene that shows the grips unloading their truck? Find a way to shoot it at the start of the day, when your production’s grips are actually unloading their truck. Being aware of the production process can help you avoid bottlenecks, too. For example, if there’s a scene that calls for a complex crane shot, don’t schedule it first thing in the morning – shoot some simple stuff while other crew members prep the crane before you need to shoot it. If you’re shooting in a location with multiple sets (for example, the living room and a bedroom in a house), shoot the one that requires the least dressing first. Your art department can prep it quickly, then, while your team shoots that set, the art department can quietly prep between takes. In other words, look for opportunities for leverage overlapping productivity. How do you ensure you’re maximizing your actors time? Use a Day out of Days report. Most production management software, like StudioBinder, can auto-generate a DOOD from your stripboard. For each cast member, the chart indicates the day that cast member Starts Work (SW), each Work day (W), and the day the cast member’s Work Finishes (WF). “H” indicates a “Hold” when your actor is on location, but not needed. This is also a paid day. 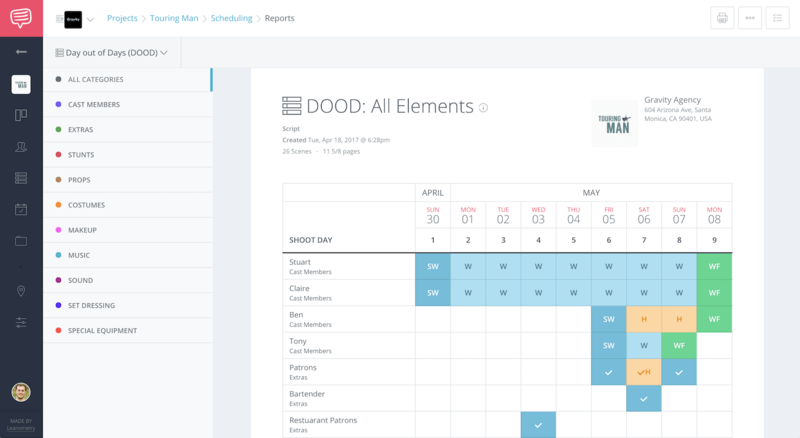 The DOOD report allows you to visualize these Hold Days so you can schedule better and avoid bleeding money. Ah, night scenes. Whether you’re an indie short or a big-budget feature, there’s usually a great chance you’ll be rolling the camera at night. But flipping from night to day can result in a scheduling snafu if you’re not careful. Let’s say you’re in the middle of a few days of night shoots. You have to keep one day of the week open as your crew must get one day off per week (c/o industry rules). In order to accommodate this, you may accidentally schedule a 24-hour shoot, by flipping back to day shoots immediately. This short-sighted mistake can prove disastrous for your production as cast and crew phone it in the next day, delirious from being awake. In the worst case scenario, your director may be dissatisfied with the dailies and then you’re scheduling extra shoot days. Instead, always flip night shoots to day on the day off. It’ll give your production a chance to recuperate and readjust themselves to new shooting schedule. Having a well thought out shooting schedule can be the difference between staying on budget and going drastically over. Be considerate of your cast and crew’s needs as you think through what you’ll shoot where. By using film production software, it’s easier than ever make multiple shooting schedules and immediately transfer them into call sheets. Enjoyed 5 Shooting Schedule Hacks That Can Save You Money? Please share it in your social networks (Facebook, Twitter, email etc) by using social media buttons at the side or bottom of the blog. Or post to your blog and anywhere else you feel it would be a good fit. Thanks.